Hunters Estate and Letting Agent in Southampton offer a wide range of property management services. Their sales department and your dedicated sales consultant can design a bespoke marketing package tailored to your property and individual needs. Whether you are buying, selling or letting your property, we ensure that the whole process is as efficient and stress-free as possible. Hunters Southampton’s lettings department is also able to offer impartial advice to investors looking at the complex HMO market. Specialising in high quality, high return properties, we are always available to share our knowledge on how to get the best from your current property or any that you may be looking at buying. Hunters Estate and Letting agent Southampton are also the leading agent for the Ocean Village development. This is a site of multimillion pound developement projects. Southampton's Ocean Village Marina is a fantastic place to spend a few hours in the sun, with many restaurants, bars, cinemas, shops and of course the Royal Southampton Yacht Club. It is home to some stunning properties including some highly luxurious apartments in the Moresby Tower. These fantastic properties come with amazing views, parking and even a 24 hour concierge service. Get in touch with us today on 02380 987 720 to register your interest - be warned demand is high! Formerly JCL Homes, the independent estate agent was set up in 2004 by Managing Director Jonathan Clegg, who saw an increasing demand for a good letting agent in the area. 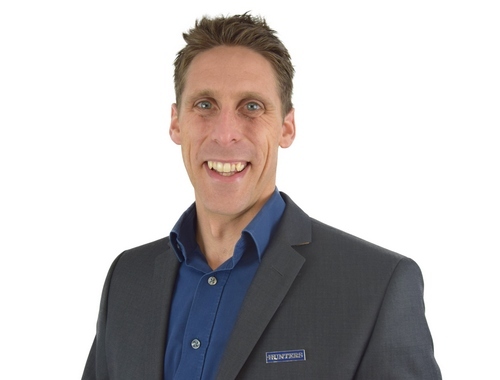 Having been a landlord since 2002, specialising in HMO (house in multiple occupation) properties to those suited to young professionals, Jonathan has accumulated a vast portfolio of Southampton properties suited to all types of clientele. That’s whether they’re looking to buy, sell or rent in Southampton, Lymington, and surrounding areas. 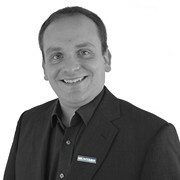 Jonathan and his team have an expansive knowledge of the Southampton investment market. As a local agent, we are also ideally placed to help source, guide and advise on all areas of HMO investment, purchase, renovation, management and sale. From the off and all the way through the sale of my house Hunters were personable, professional, experienced and very helpful. We did get a sale and I was grateful that they stuck with it and offered a great level of service and advice. When it came to the legal side they provided three conveyancing quotes; Hunters' in-house (but farmed out to an internet conveyancer) was the most competitive. I was skeptical about using them and that they may be recommended due to the kick-back to Hunters, but after a chat with Hunters I went with them and sure enough they were also excellent with my case. I can say Hunters Southampton were as good as their word on everything, a pleasure to use, earned their commission and I would certainly recommend them and use them again. I found the service first class both in terms of letting my property and then the subsequent sale of it. Jonathan offered excellent advice and assistance initially in relation to a potential HMO and then letting the property and was ably assisted by Anam. 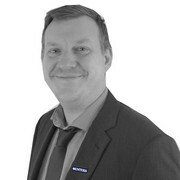 James then became involved in the sale and handled the transaction swiftly and efficiently to completion. The fees paid throughout were very reasonable for the service provided. We are delighted to tell you that putting an advertisement in your window has paid off and we have sold the house (the Compris de Vente has now been signed by all parties and returned to the notaire in France). Thank you for all your help. We have had more prospective buyers through Hunters in Southampton in twelve months than the three estate agents in France over the last few years. We are really impressed with Hunters and sing your praises to everyone! Click to view preferred suppliers for Hunters Southampton. VAT Reg No: 188 0548 76 | Registered No: 06421594 | Registered Office: Frenchfield, 23 Solent Avenue, Lymington, Hampshire, SO41 3SD. A Hunters franchise owned and operated under licence by Clegg Properties Limited. I am the owner and managing director of Hunters Southampton (formally JCL Homes). I have been an investor in the Southampton Market since 2002, particularly specialising in the HMO market renting individual rooms to young professionals. I have experience in most sectors of the property market having built extensions, renovated numerous properties (for myself, friends and family) and even built a one-bedroom bungalow whilst working as a labourer. Further to this I have also delved into the realms of development personally renovating, extending and selling a Bungalow in Eastleigh for profit. I set up J Clegg Lettings in 2005 because friends and family began asking me to manage their properties. As the company grew and I started to sell properties this was renamed JCL Homes. In 2016, with a growing portfolio, I decided to franchise with Hunters to allow the business to keep growing, utilising the years’ worth of expertise and experience behind Hunters much larger brand, whilst also keeping the independence that I believe is vital to deliver exceptional service. I have found that my experience in all areas of the property industry ideally positions me to offer advice and guide both new and experienced investors through the ever changing legislation surrounding property. We found this knowledge to be a real advantage to make sure our landlords obtained good yielding properties that are going to rent quickly, having minimal vacant periods (ideally none!). My family home was on the Lymington river, being only 200m from the Royal Lymington Yacht club. It was inevitable that a passion for sailing would manifest and I spent my childhood on the water that led to an Olympic 49er campaign. I am equally passionate about sailing and property, being happy to chat anytime about either – part of the reason I am so enthused by our increasing presence in Ocean Village over the last few years. I have worked in property management for 7 years and have gained a great deal of knowledge from previous roles within agencies. 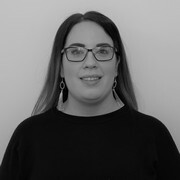 I started with Hunters in December 2018 and am enjoying working as part of a small team and a team that strives to provide excellent customer service. In my spare time I enjoy spending time with my family, going for family days out and spending time with friends. I have been involved in a number of different roles since entering the property industry in 2003 when I started work in Lettings. I started with Hunters in 2017 love working for a company that values customer service and satisfaction. Being born and bred in Southampton, I have a good knowledge of the local area and amenities - especially the local takeaways across Southampton! Having a young family, most of my spare time is taken up with bedtime stories and stepping on Lego. However, I do enjoy playing board and card games, and I am the current UK Dice Masters national champion 2017, and co-host a fortnightly Dice Masters related podcast. I joined Hunters Southampton as an apprentice, and my confidence has continued to grow. Being the youngest of the team has been challenging but I have already gained a great deal of knowledge of the industry. I am currently working on Lettings which I love due to its fast pace and variety. The satisfaction of moving people into properties and providing them with a positive experience through good service is very rewarding and something that never gets boring. I am planning to broaden my knowledge and experience within the Lettings industry before eventually start to learn the Sales trade. I feel that having knowledge of both Sales and Lettings will be very beneficial for my future career. As someone who has started from a young age I am excited to see how my future is going to pan out. I have had fantastic support from the Hunters Southampton team - they have helped me grow and develop, not just intellectually but also as a person. Jonathan Clegg, our Managing Director, is a great role model in ensuring we all keep to the five star standard of service that we should provide. Anam Tahir, our Property Manager, has helped me throughout my apprenticeship and has ensured I learn the lettings trade thoroughly. She really has made my experience at Hunters worthwhile and I would not be where I am today without her. I have been within the property industry since 2012 and have been with Hunters as a company since 2014. My first job within Hunters was at one of our other branches as Assistant Sales Manager overseeing a very busy Sales Department. 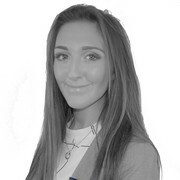 In June 2018 I came to work for the Southampton branch as Assistant Manager and have thoroughly enjoyed working within both the Sales and Lettings Department. For my partner and I, we love being near the sea and taking our Sprocker Spaniel out for walks. She loves to swim in the sea! 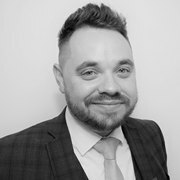 My career in estate agency began in 2006, when I started working for an independent lettings company, based in the London Road area of Southampton. 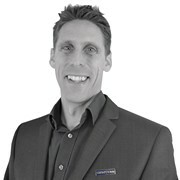 Over the past 13 years I have amassed an enormous wealth of knowledge and experience, working at each level within the industry, from Sales negotiator through to Valuer, sales progressor up to Company Director. In 2014, at the age of just 26, I was headhunted to launch a brand-new estate agency and spent the past 5 years growing it from a cold start up, with just a telephone and an empty window display, into a market leading business. I’m delighted to bring my experience, relentless energy and committed work ethic to an award-winning company such as Hunters, and to share my ethos of providing an unique difference to buying and selling homes. I was fortunate to obtain my first post as a junior sales negotiator with independent Estate Agents in January 2007. Over this first year, I learnt the important basics, such as registering applicants, valuing properties, selling properties and negotiating sales, and became skilled at managing the full sales process from start to end including marketing strategies and communication with solicitors. In September 2008 I was transferred to the lettings department and continued to progress my career, increasing the breadth of my knowledge. In 2012 I was given an opportunity to work in a specialist niche market place, dealing with waterfront homes across Southampton. Initially I was taken on as a senior negotiator and my hard work paid off when I was promoted to Lettings Manager in 2013. I learned a great deal of knowledge surrounding end of tenancy disputes and how to deal with particularly difficult clients, something many other agents lack experience of. 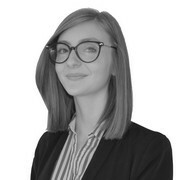 I believe I provide a fantastic standard of customer service, looking after both tenants and landlords of properties throughout all stages of the tenancy. I find that truly knowing the dynamics of the area I work in enhances my ability to deliver on service, and I have found that during my career working in independent agencies (such as Hunters Southampton) I have been able to deliver this service to a very high standard. I regularly receive customer appreciation that reflects this and this is my biggest motivator in ensuring the service stays high. You will never be bored in Southampton. There’s a multitude of things to do, and to top it off, it’s all set in beautiful buildings and breathtaking scenery. Whether you’re a history buff, a theatre fanatic or a shopaholic, you’ll find something that takes your fancy. Southampton has a long and rich history, and the museums to match. If you love your military history then take a look at the Solent Sky Museum. The museum boasts an impressive selection of planes, but what makes this all the more impressive is that Southampton is where the first Spitfires took off from! If you prefer maritime history, Southampton’s SeaCity Museum might be your new favourite place. Alongside their impressive Titanic displays, there are interactive features, games and a picturesque cafe. What more could you want? If you’re in need of some retail therapy, then look no further than Westquay shopping centre. With everything from technology and homewares to fashion and sports, you’ll be certain to find what you’re looking for. The city is littered with historic buildings and gorgeous parks, but if you feel like going a little further out, there’s also plenty to do and see. The whole family can enjoy the Oasis Down to Earth Farm or explore the treetops at Go Ape, and when the little ones are exhausted there’s plenty to do in the evenings. With an extensive range of independent restaurants and bars, you’re spoiled for choice. Whether you’re craving the traditional ales served at The Butcher’s Hook or live music and comedy at places like The Talking Heads, you’ll never run out of places to see. Whatever kind of home you’re looking for, Southampton has something to give. Hunters is proud to showcase everything from chic central terrace flats to properties overlooking the Quay. If you want to be a little further out of the city centre we have larger detached and semi-detached properties which are perfect for families, or anyone who dreams of peace and quiet. For the parents out there, Southampton has some fantastic schools and colleges, and for anyone commuting each day there are great transport links. With the M27 nearby, it’s easy to get in and out of the city, or if you’re using public transport, there are many buses, trains and cycle routes across the city. No matter what stage your life is at, Southampton is the perfect place to be.